A dedicated group of retired nurses volunteer their time to maintain historical information and items as well as coordinating display cases highlighting the rich history of care at Quinte Health Care Belleville General Hospital Auxiliary. 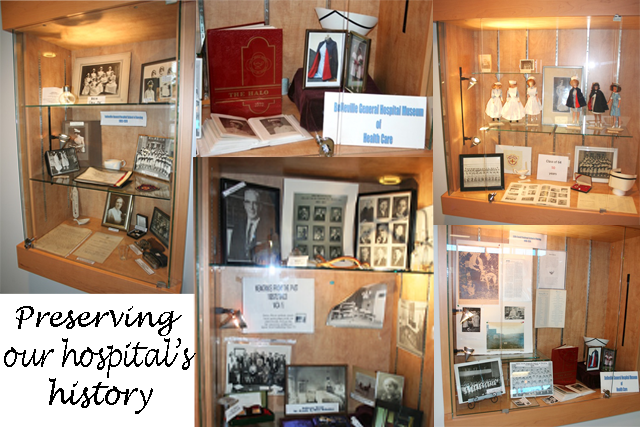 Look for the display cases, just inside the Sills Wing to the right and enjoy the historical displays. 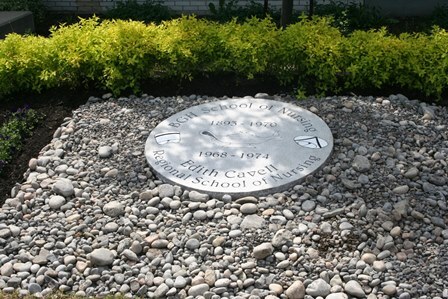 Below is a commemorate monument placed outside the Sills Wing, marking the history of the BGH School of Nursing and the Edith Cavell School of Nursing.